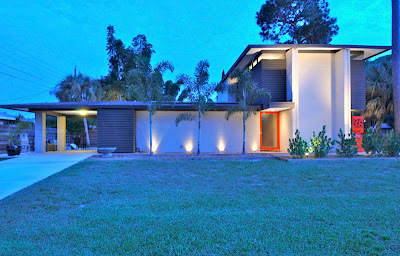 Very hard to believe that this masterpiece of modern architecture is on the market for only $299,000. Just a couple of years ago, this would be totally unheard of. 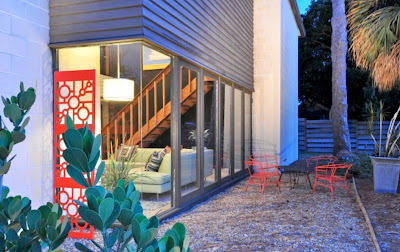 A great chance for a nice couple or family to move into a modern dream house! 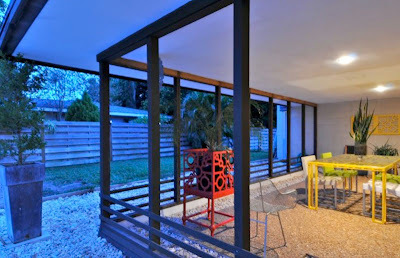 FOR SALE: The Padgett House (1965), an authentic Sarasota School of Architecture mid-century modern home designed by architect James Padgett for his own family, and recently restored by HGTV Design Star, Jason Champion and his partner, Jim Del Rio. 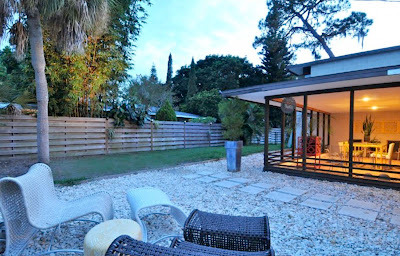 For details about this home please contact Martie Lieberman, Realtor, SaraBay Real Estate @ 941.724.1118. 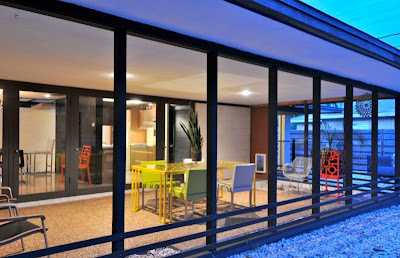 The Padgett House has 3 bedrooms, 2 full bathrooms, terrazzo floors, clerestory windows, skylights, stacked block walls and a two-story living room with catwalk and office. The yard is fenced, with room for a pool. Located 2.3 miles from Siesta Key beach, voted one of the world's top beaches for its cool, white quartz sand. 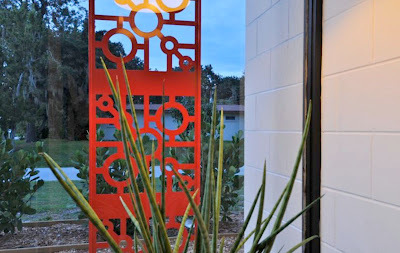 Only a few "Sarasota School of Architecture" houses will ever come up for sale in this price range. It is important this house gets into the right hands. 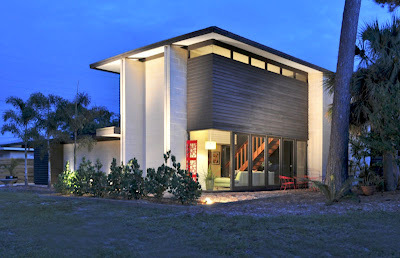 For more information about modern properties for sale and fun architecture tours, please visit: www.modernsarasota.com or call Martie directly @ 941.724.1118.